Your keyboard is safe at any LAN party, with the spill-resistant and dustproof Corsair K68 Cherry MX Red Gaming Keyboard QWERTY. 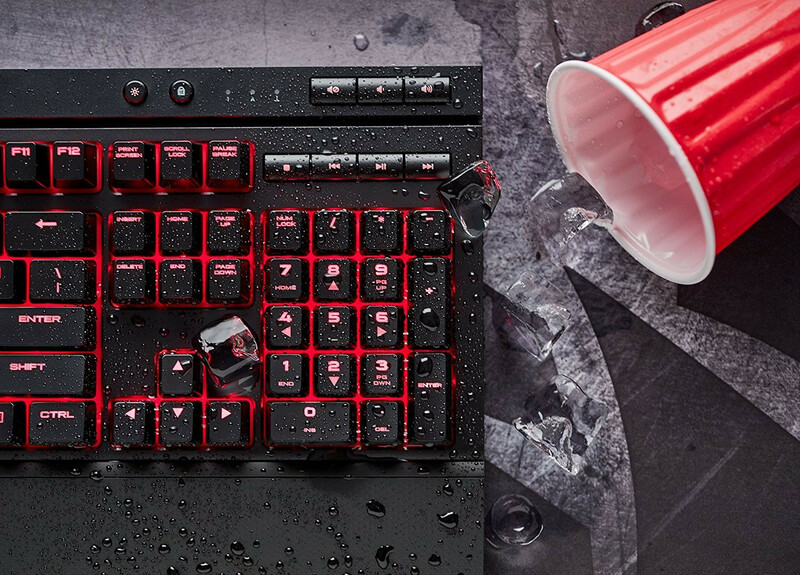 Its IP32 certification, for dust resistance and water resistance, allows you to safely play in the limited space expected at a LAN party. It'll also come in handy at home, whenever you've tipped over a drink. 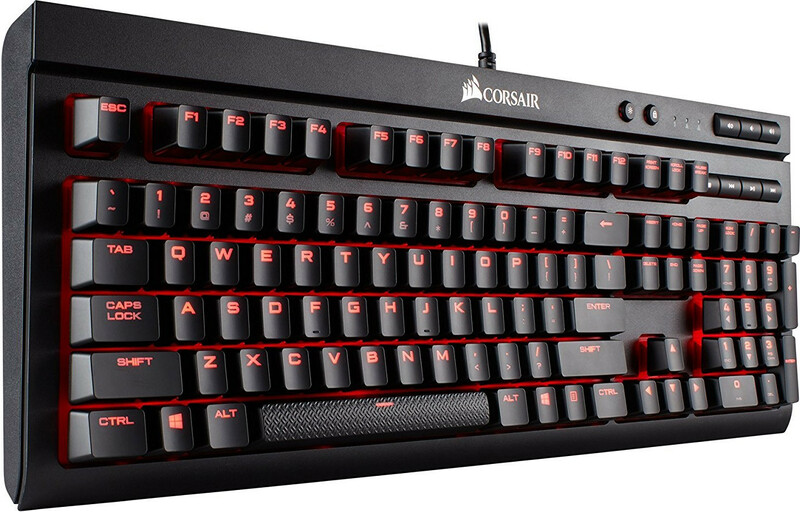 You don't compromise on advantage, since you do get the sensitive red switches Corsair is known for. On top of that, you'll get the necessary luxury features, such as a detachable wrist rest and comprehensive multimedia shortcuts, such as a volume dial. 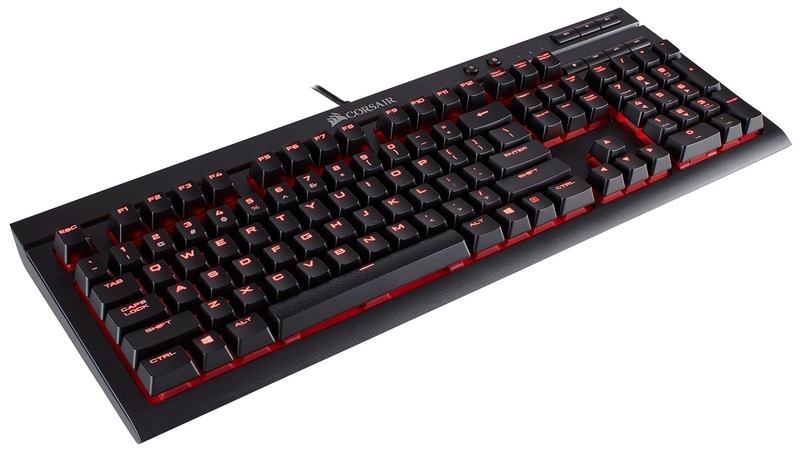 This, in combination with the sleek finish and the blood red lighting, makes this keyboard the finishing touch of many battle stations.